Technology has undoubtedly improved our lives, allowing us to perform tasks more quickly and efficiently, and with greater ease. But not all technology is created equal. Some types promise better functionality, others seduce us with naturally intuitive interfaces. ​Meetings & Events has launched a rebrand as part of Carlson Wagonlit Travel’s own rebrand, which last week saw it renamed simply as CWT. 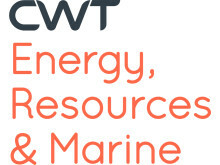 At the same time, CWT M&E has unveiled a dynamic new website with brand-new functionality and content, and a fresh new look. ​Once upon a time the term foodie was associated with high culture and an elite fortunate enough to eat Michelin Starred chef-d’oeuvres while the rest of us ate cold sandwiches. 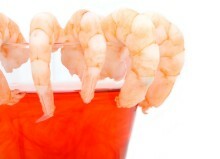 But the frenzy for fine cooking has seen dramatic growth and democratization on a global scale. “Shanghai was a waking dream where everything I could imagine had already been taken to its extreme,” said novelist JG Ballard. It’s an accurate description of a city that’s singular in its vivacity. A magnet for migrants from all over China, the nation’s biggest city is a modern powerhouse and financial hub as much as it is a historical treasure trove. ​Carlson Wagonlit Travel, the global travel management company, has appointed Derek Sharp as Managing Director of CWT Meetings & Events. 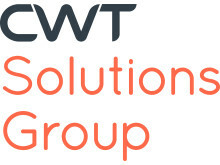 Effective 1 November, 2018, Derek will be based in London, report to Kelly Kuhn, Chief Customer Officer of CWT and serve as a member of CWT’s Customer Organization Leadership Team. According to a recently published CWT Meetings & Events’ trends report the top destinations for 2019 in Latin America (LATAM) will be Sao Paulo, Mexico City, Bogota, Rio de Janeiro, Ocho Rios, Lima, Nassau, Cali, Curitiba, and Medellin. We interviewed Gustavo Elbaum, Latin America Senior Director at CWT Meetings & Events, to find out which is his favorite destination in the region and why. ​According to a recently published CWT Meetings & Events’ trends report, the top destinations for 2019 in Europe, Middle East and Africa (EMEA) will be London, Moscow, Barcelona, Berlin, Hamburg, Vienna, Stockholm, Cologne, Paris, and Frankfurt. We interviewed Ian Cummings, EMEA Vice President at CWT Meetings & Events, to find out which is his favorite destination in the region and why. Technology is altering the landscape of meetings and events, according to the 2019 Meetings and Events Future Trends report, and will continue to do so in the near future. Augmented reality, artificial intelligence and data analysis tools allow meeting planners to save time and expense and raise expectations by taking simple concepts to the next level. The future is bright for the meetings and events industry. 2019 will bring global growth, bolstered by cool new venues opening up all over the world, innovation in events technology and higher standards from attendees that have become accustomed to creative spaces and gatherings from their personal lives. People buy people. We all know that. So you need to create opportunities for them to interact with you. But putting on the kind of events they experience in their personal lives can be daunting, whether it’s for 12 or 12,000. ​Meetings and events’ demand will grow between 5-10% in 2019, and the average size of meetings will rise in nearly every region, according to the 2019 Meetings & Events Future Trends report, published today by CWT Meetings & Events, a division of global travel management company Carlson Wagonlit Travel (CWT). CWT Meetings & Events, a division of global travel management company Carlson Wagonlit Travel (CWT), today unveiled its predictions for the top ten cities in Europe, Middle East and Africa (EMEA) in M&E. The ranking is based on proprietary and industry data in CWT’s 2019 Meetings & Events Future Trends report, to be published later this week. CWT Meetings & Events has appointed Michelle Sargent as Director & Commercial Leader, Australia and New Zealand. Heather Lawson joins as National Operations Manager, and Ben Ogden as Senior Event Manager for the market. ​CWT Meetings & Events, a division of global travel management company Carlson Wagonlit Travel (CWT), today unveiled its predictions for the top ten Latin American cities. The ranking is based on proprietary and industry data in CWT’s 2019 Meetings & Events Future Trends report, to be published next week. 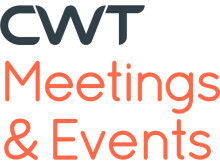 CWT Meetings & Events unveils its predictions for the top ten Asia Pacific cities for M&E in 2019, as well as expected changes in meeting costs and group sizes next year. 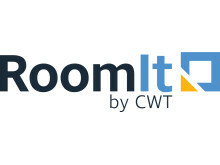 MeetingsNet, a digital magazine and website dedicated to the meetings and incentives industry, has named CWT Meetings & Events (CWT M&E), a division of global travel management company Carlson Wagonlit Travel, to its 2018 CMI 25 list of the largest full-service meeting and incentive travel management companies focused on the U.S. corporate market. ​How do you celebrate the centennial of one of the 20th century’s most towering figures? The Minnesota Orchestra honored former South African President Nelson Mandela with a two-country, six-city, six-performance tour that took them to London and five cities in South Africa—becoming the first professional U.S. orchestra to perform in Mandela’s birthplace. According to our latest figures, 54% of companies have benefited from Strategic Meetings Management (SMM) for several years now. But apart from being an acronym, you don’t want to get wrong - what is it exactly?